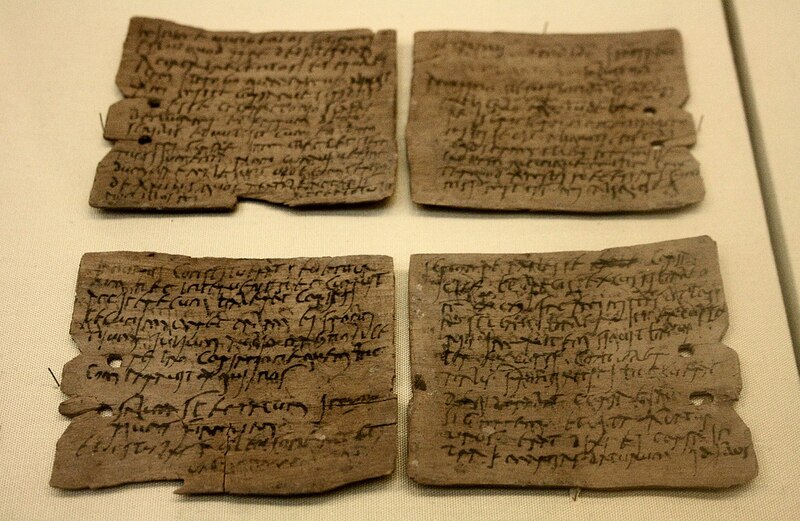 The Vindolanda letters were of course written on wood. 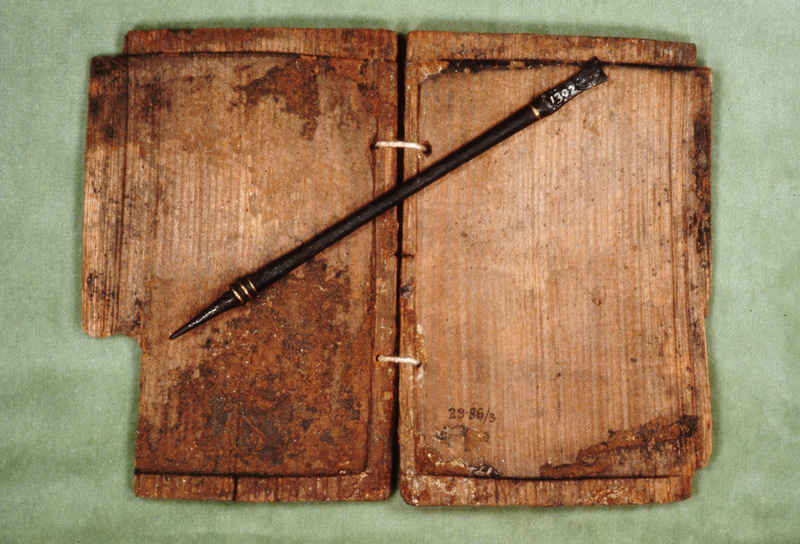 The Romans communicated like anyone else, using a pen or stylus, writing on paper or wood. 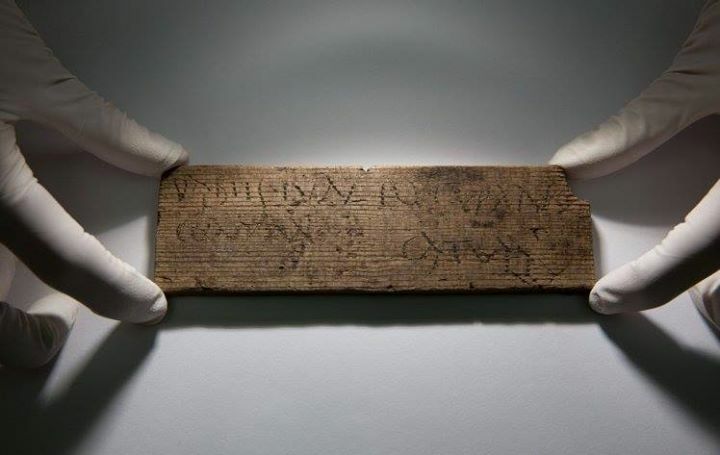 This is now illustrated by the wealth of writing-tablets recently found in London, dating from the city’s first half-century, the Bloomberg Tablets: so called because they were found on the site of the new European headquarters of the media giant Bloomberg. The letter-forms of Roman handwriting vary according to the medium, whether it is ‘soft’ with ink (paper and wooden leaf-tablet) or ‘hard’ with scratching (waxed stylus tablets, but also metal tablets addressed to gods). The letter-forms also vary according to date, but this question does not arise with the Bloomberg tablets, since they belong to quite a narrow period: they can be dated by their archaeological context, sometimes even by internal dates, very largely from the AD 50’s, 60’s and 70’s. They are thus the exact contemporaries of the better-preserved stylus tablets from Pompeii and Herculaneum. A famous wall-painting from Pompeii shows both ‘hard’ and ‘soft’ media. The baker Terentius Neo holds a roll of ‘paper’ made from the papyrus reed, which only grew in Egypt. It does not survive in Britain: it needs very dry conditions, as in Egypt; or at Herculaneum, exceptionally, where rolls of papyrus were carbonised by the heat of the eruption of AD 79. 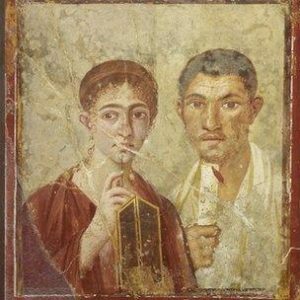 But the wife of Terentius Neo holds two waxed stylus tablets hinged together, and presses a stilus (stylus) to her lips. These are not paper, but thin sheets of wood – usually silver fir (abies alba) – which have been neatly recessed on one face and filled with beeswax coloured black with ‘lampblack’ (atramentum, finely divided soot). They were inscribed with a needle-pointed stylus, which cut through the wax to expose the wood underneath; that is why the wax was coloured black, so as to increase the contrast with the pale wood underneath. This wax coating also made the tablet re-usable, unlike papyrus and other writing materials. Roman Britain must have imported papyrus from Egypt, just as it imported olive oil, wine, fish sauce and dried fruit from hundreds of miles away; but just as the locals brewed beer because they could not make wine, they made a local substitute for paper: ink ‘leaf’ tablets made out of wood shavings. 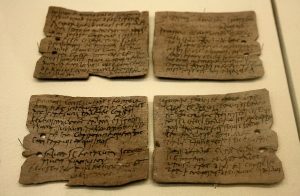 More than 800 have been found at Vindolanda – and brilliantly deciphered by Alan Bowman and David Thomas – but they have been found elsewhere; notably at the contemporary (Flavian) fort of Carlisle. The Roman garrison of Britain used them instead of papyrus, but they have also been found in civilian contexts, including two from Bloomberg. One is part of a ‘diptych’, a postcard-sized sheet of thin wood, folded down the middle, and inscribed with two columns of ink text. 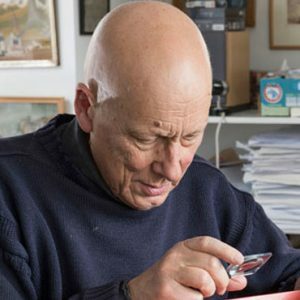 These ink leaf-tablets, known as tiliae since they were properly made from limewood, are almost unknown outside Britain, but this is an accident of survival and recognition: in Britain they were not recognized until Robin Birley found the first one in 1973. It looked like two wood shavings stuck together. But there is literary and epigraphic evidence of their being used outside Britain. The jurist Ulpian, for example, says that documents can be written on all sorts of material: he specifies papyrus (charta), parchment (membrana), waxed tablets (in ceratis codicillibus) and ‘limewood’ (in tilia). There is even a literary reference to such tablets being used in Britain by the governor Ulpius Marcellus. Ink was quite often used to inscribe stylus tablets in Herculaneum and Pompeii, but this is rare in Britain. 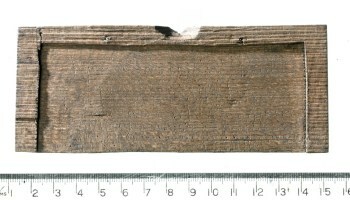 A London stylus tablet from another Walbrook site, Drapers’ Gardens, was inscribed on the wood outside in ink with a text dated 3 December 158, which probably duplicated the ‘inner’ text on wax. But almost all British stylus tablets were inscribed with a stylus, not a pen. Stylus tablets are not peculiar to Britain, of course. Quite apart from many surviving examples, there are depictions of them being used, for example two from Rome itself at different social levels. The first is a stone relief showing a shop in which the butcher is chopping meat, while his wife is keeping accounts on a block of tablets. The second is a pair of ivory panels (a ‘diptych’ again), showing the vicarius of Rome on his throne being approached by two petitioners; a secretary stands either side, making notes in a block of stylus tablets. Likewise, the younger Pliny says that he always took his tablets with him on a day’s hunting, so he would at least come home with something in the bag, whether it was a poem or a letter. They had many uses: notes and accounts, legal documents such as wills, loan-notes and deeds of sale – and of course correspondence. Two tablets hinged together, with the waxed faces protected by wood on the outside, made a strong and simple ‘letter’ and ‘envelope’. 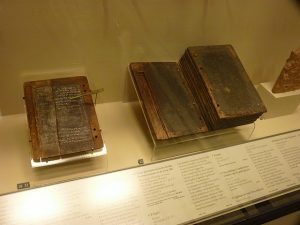 Legal texts were written in duplicate on three hinged tablets, with the inner text being sealed by witnesses, so it could not be tampered with. Stylus tablets found in very dry conditions – notably in Egypt, Pompeii and Herculaneum, and even a gold mine in Transylvania – may retain their wax. But in north-western Europe, this wax hardly ever survives, since tablets are found deep underground, in waterlogged, anaerobic deposits. This preserves the wood, but leaches out the wax. This happened at London Bloomberg, where archaeologists of Museum of London Archaeology (MOLA) excavated the site of Bucklersbury House – famous for having destroyed the London Mithraeum, now rebuilt by Bloomberg – and penetrated deep into the rubbish and demolition material dumped by the Romans to embank the Walbrook. This is a tributary of the Thames which now runs in sewers and culverts deep under the City; its mud and silt preserved organic material from decay by cutting off the oxygen. Fragments were found of about 400 stylus tablets, the largest number from a single site in Britain; and outside Italy, only surpassed by the 600-odd tablets found in the rubbish dumps of the legionary fortress of Vindonissa (Windisch in northern Switzerland): these have yielded about 60 legible fragments, and the corresponding number from Bloomberg London is about 80. They come from levels which can be dated to the first half-century of Roman London, from the late 40s to the 90s AD; before and after the revolt of Queen Boudica in 60/61, and her destruction of London. Unlike the stylus tablets from Pompeii and Herculaneum, these tablets are not an ‘archive’: they were not stored together and overwhelmed by catastrophe. They are Roman ‘waste paper’, often rubbish collected from elsewhere and simply dumped as land-fill. They have almost always lost their wax coating, and the text must always be recovered from the wood. Tablets were inscribed on the wax coating with a stylus, an iron needle with a sharp point, and a ‘fishtail’ end for erasing. Mistakes could be corrected, words and phrases changed. The whole text could even be ‘wiped’ with a special broad spatula, and replaced by another, since waxed tablets were intended for re-use. But the stylus often left its traces in the wood underneath. Even if the wax has since been lost, the good news is that tablets can still be read, by looking closely at these scratches. The bad news is that if the tablet was used more than once, it will almost always be illegible, because the ‘multiple text’ that results is so confusing. Bloomberg London is on the west bank of the Walbrook, where Roman London was expanding westward across the Walbrook. The writing-tablets associated with rubbish dumped there include some in the floor make-up of tomber-framed buildings, notably 19 fragments in what the excavators called ‘London’s first office’: they include a complete ‘page’ from a legal document dated by the consuls of AD 67. The text is almost all lost, but three or four words suggest it was the will of a soldier in the First Cohort of Vangiones. This was already known to have belonged to the Roman garrison of Britain, and it can now be seen as one of the eight auxiliary cohorts drafted into Britain from Germany after the defeat of Boudica in 61. This is a fine example of how a scrap of writing can be fitted into an historical context. But first, how were the tablets deciphered? I was allowed to examine them after they had been washed, but before conservation, and I picked out those I thought were ‘possible’ – not those which were blank, or re-used so many times that they were illegible – but tablets bearing legible traces of text. They included tablets scratched on the outer, unwaxed, face with the lettering of ‘addresses’; for example <6>, addressed ‘to Mogontius, in London’. But the most exciting such ‘possibility’ was <44>, which began with the word NERONE, indicating a year when the Emperor Nero was consul, between AD 55 (his first consulship) and 60 (his fourth and last). I sent this tablet, like the others, to be photographed before they came to me in Oxford. Andy Chopping and his team took multiple photographs by low raking light, which I used as the basis of my drawings. These were not simply tracings: I was looking at the original all the time, under a binocular microscope with raking light from a fibre-optic, and deciding as objectively as I could whether an incision was deliberate or not. It was fascinating to be the first to read what was written more than 1900 years ago, by feeling my way into Roman fingers. It was a great privilege, but time-consuming. The way forward is likely to be the process known as Reflectance Transformation Imaging (RTI), by which many multiple photographs of an incised object can be combined by means of software into a sort of video. I still find it cumbersome, but I hope that someone will devise an interface between this ‘video’ and a drawing screen, so that I can make my drawings as I play with the multiple images. This is a personal view: I like to read Roman handwriting by drawing it; the two processes go together. The Bloomberg scribes made their letters with short, disconnected diagonal or sinuous strokes, drawing the stylus towards them. The letter-forms are well-known, of course, thanks to the stylus tablets found in Pompeii and Herculaneum, as well as Vindonissa, Transylvania and Egypt. Tablets have been found in the Walbrook itself ever since the 1920s, and in Britain there are two other important collections, from Hadrian’s Wall at Vindolanda and Carlisle. This is the City’s earliest financial document, but other tablets reinforce Tacitus’ picture of early Roman London as a vigorous business community, exploiting the new province. Historically the most important is <45>, which is dated 21 October 62. Marcus Rennius Venustus contracts with Gaius Valerius Proculus that he bring from Verulamium by 13 November, twenty loads of provisions.’ The date and place are important: London and Verulamium (St Albans) were destroyed by Boudica in AD 60 or 61, and according to Tacitus again, 70,000 lives were lost. 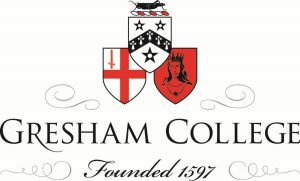 Colchester was formally the first capital of Roman Britain, but it was already being displaced by London. The presence of the governor is implied by a legal document <51> dated 22 October 76, which contains a ‘preliminary judgement’ (praeiudicium) by the judge appointed to hear the case forthcoming between Litugenus and Magunus on 9 November. It breaks off, and the most interesting detail is that the judge was ‘appointed by the Emperor’, not by local magistrates with judicial responsibility. The implication is that London was still under direct rule; and that he was appointed by the governor acting in the Emperor’s name, or perhaps by the deputy-governor for jurisdiction, the legatus iuridicus, the first attested being in AD 78. This supports the prime evidence that London was now the capital, which is the tombstone of the procurator Julius Classicianus in the British Museum: he was appointed in AD 61, and must have died in office since he was buried in London as ‘the Procurator of the province of Britain’. His widow was Julia Pacata, the daughter of a very rich, pro-Roman aristocrat of Trier in the Moselle valley. I will return to her, but she prompts me now to admit the greatest failing in all the tablets: they do not mention a single woman. Nonetheless, they are ‘Roman London’s first voices’, many of them scraps of correspondence, whether written in London itself, or from outside. There is, for example, the letter directed to Junius the cooper ‘opposite (the house of) Catullus’, who is thus London’s first named ‘householder’. It is interesting to find a ‘cooper’, not only because a barrel was found re-used as a well sump, but because an ‘account’ <72> prices large deliveries of beer (cervesa), and another letter is addressed to Tertius ‘the bracearius.’ bracearius is a rare term, also found in the Vindolanda Tablets, which derives from bracea, a kind of grain, and means either ‘maltster’ or ‘brewer’. It also occurs on a stylus tablet from Carlisle, addressed to Domitius Tertius ‘bracearius, at Carlisle.’ This is surely the same man, showing that London businessmen made contacts extending, not just to Verulamium, but to the northern frontier. Unfortunately I could not read the traces of Tertius’ correspondence, but I was privileged to intercept other business letters, which revealed problems which have recurred ever since: difficulties of transport; liquidity; investment. The first is reported by Taurus <29> to his friend Macrinus. Someone had come and taken his transport animals (iumenta), ‘investments which I cannot replace in three months …’ He goes on to explain, apparently, that he was at Diadumenus’ house (ad Diadumenum – another London householder?) the very day someone arrived unexpectedly and took the animals away. Incidentally, I call the writer ‘Taurus’, but ‘Taurinus’ is also written there: in the top-left corner, one name is written over the other, and I think ‘Taurinus’ is the wrong one: a false anticipation of ‘Macrinus’ – as if the writer was not familiar with his own name. But he was surely dictating to a secretary, just as another tablet <50> is written by the slave Florentinus ‘by order of (his) master’. It is dated AD 64 (the day is lost), and acknowledges ‘two payments in respect of the farm [name lost] …’ from someone else’s slave. The phrase used by Florentinus, ‘by order of my master’ (iussu domini mei), is found in two tablets of the Sulpicii archive at Pompeii. In London, as at Pompeii, we find evidence of slaves and freedmen acting as financial agents: Tibullus <44> is another example, and so is the letter <27> in which Secundio tells his freedman to accept a note of hand (c(h)irographum) from someone else’s slave. Another financial fragment <30> is just as allusive. It comes from a pre-Boudican context, before AD 60/61, and starts in mid-flow: ‘… because they are boasting through the whole market that you have lent them money’. This extraordinary phrase, per forum totum, may refer to London’s new forum on Cornhill; or it may be only the forum of another town to which they both belonged, or even be a metaphor of ‘the Market.’ But several tablets are fragments of loan-notes, formal promises to repay money lent with interest, and <30> may have been prompted by news of money being lent to people who were uncreditworthy. Perhaps the City’s first-ever bad investment. Unfortunately we do not even know who ‘they’, the boasters, were. But at least 92 persons are named by the Bloomberg tablets, many of them first-generation ‘Londoners’ like Junius the cooper. They even include soldiers, like the list of witnesses from a legal document <62> which names Longinus, Agrippa and Verecundus, and the cavalry sub-unit to which they each belonged. Agrippa and Verecundus both belonged to the troop ‘of Silvanus’: it is interesting to see that the identical words tur(ma) Silvani are written by different hands, which neatly confirms that witnesses ‘signed’ in their own hand against their seals. 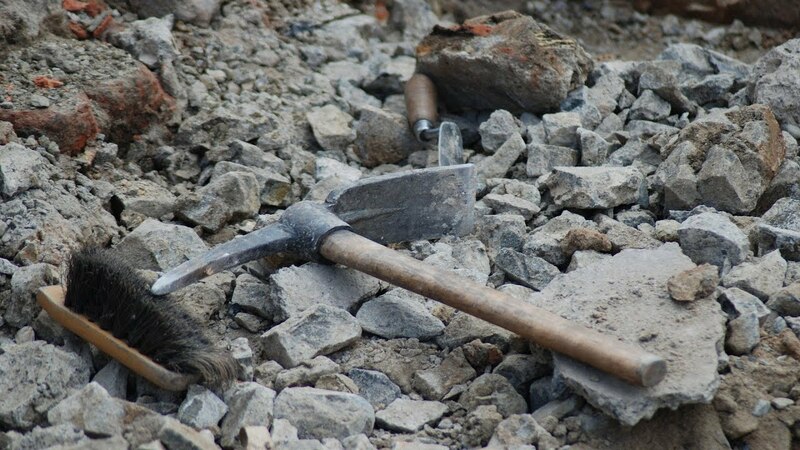 There is other evidence of soldiers in the tablets, and military equipment was also found during the excavation. But I conclude with the most remarkable instance of a soldier’s name, at the foot of <33>: ‘Classicus, prefect of the Sixth Cohort of Nervii’, the officer commanding a battalion of Belgae in the Roman army. The archaeological context is AD 65/70 – 80, immediately after the Boudican revolt. The Sixth Cohort of Nervians is attested later in the British garrison, and like the Vangiones must have been one of those eight cohorts transferred from Germany to Britain in 61. The name Classicus is surprisingly rare, and the only equestrian officer of this name known to us is the famous Julius Classicus, who was commanding a cavalry regiment in 69 when he joined the Batavian Revolt in the Rhineland. This cavalry ala would have been his third equestrian command, implying that his first, the prefecture of a cohort, was in the early 60s. Tacitus say that Classicus was of ‘royal’ descent in Trier, and it is striking that the new Procurator of Britain in 61 was Julius Classicianus, who was by marriage, and almost certainly by descent, also a member of the aristocracy of Trier. This identity of name and origin between Classicus and Classicianus prompted the suggestion long ago that they were kinsmen, and this new evidence confirms it. Classicianus, newly appointed to Britain as its most senior equestrian official, recommended a young kinsman for a commission there. In this tablet we glimpse Classicus at the very beginning of his career as a Roman officer and gentleman, a career which culminated in his rebelling against Rome and receiving the surrender of Roman legionaries ‘dressed up in the uniform of a Roman general’. These are the words of Tacitus, to which can now be added this footnote, drawn from a scrap of wood found in the mud of London. This entry was posted in History, London, Rome. Bookmark the permalink.